Urban customers are getting much faster speeds from their broadband deals than those in rural areas and the difference between them is widening, according to the latest report on residential speeds by communications regulator Ofcom. It says the average download speed for the six months up to May 2013 hit 26.4Mbps for urban areas, up from 21.6Mbps a year before. Rural areas also showed growth but at a slower rate, rising to 9.9Mpbs from 5.9Mbps, while the increase for the suburbs went to 17.9Mbps from 13.2Mbps. Ofcom says the difference is down to the average line length from exchange to users' premises in the cities being much shorter than in the country, and lower availability of fibre and cable in rural areas. It predicts that the gap will widen in the short term but ultimately decline as more high speed broadband becomes available in rural areas. Government gives rural communities more time to apply for broadband grants. It says the average download speed for residential connections hit 14.7Mbps for the six months up to May 2013, up from 12.0Mbps from the figure published in November and from 9.0Mbps in May 2012. While this suggests progress towards faster speeds all round, the average for packages with 'up to' figures between 2-10Mbps was only 3.6Mbps, and for those between 10-30Mbps it was just 8.2Mbps. The increase in speeds is attributed partly to Virgin Media's 'double-speeds' upgrade programme, under which its customers for up to 10Mbps are being given maximum speeds of 20 or 30Mbps. 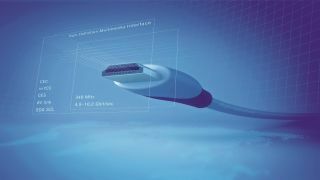 In addition, BT is continuing the upgrade of its ADSL network to offer ADSL2+, which increases the maximum speed for some connections from 8 to 10Mbps. However, the rate at which this is happening is likely to have slowed as coverage is now widespread. Is satellite broadband going to be the solution for rural areas?